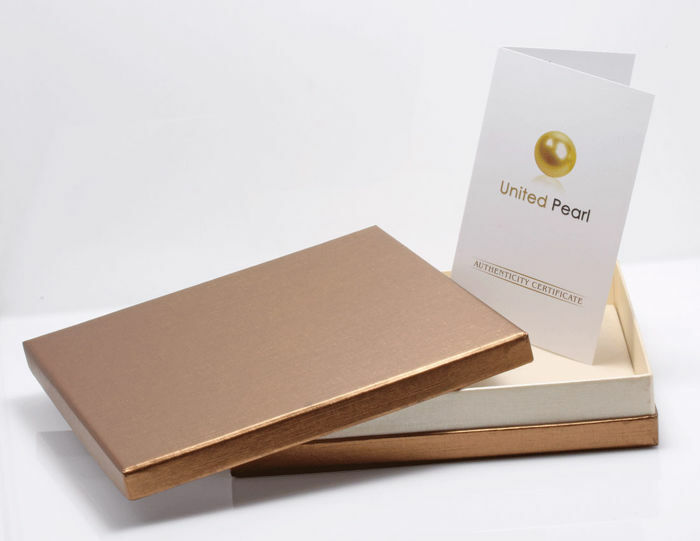 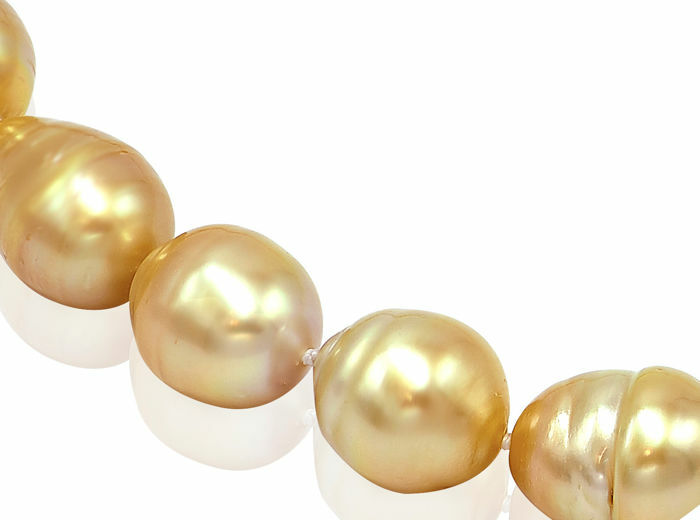 Emerging from the tranquil waters off the coasts of Australia, these South Sea pearls have a natural deep golden honey colour with a rich luster. 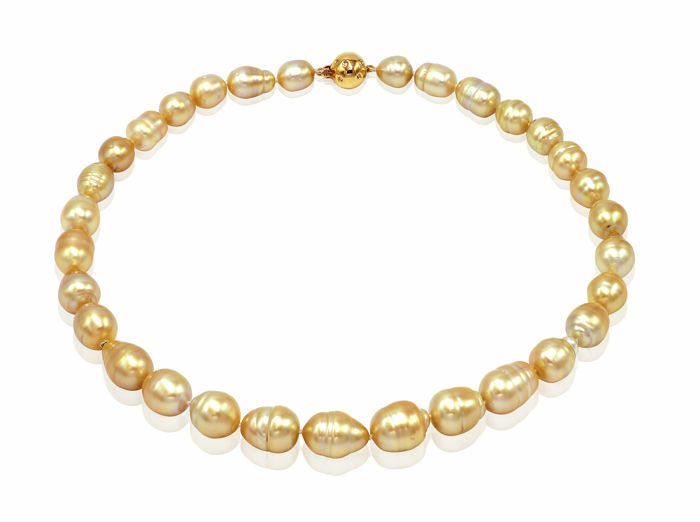 The warm, natural deep golden color and the well matched baroque shapes of the pearls create a beautiful piece. 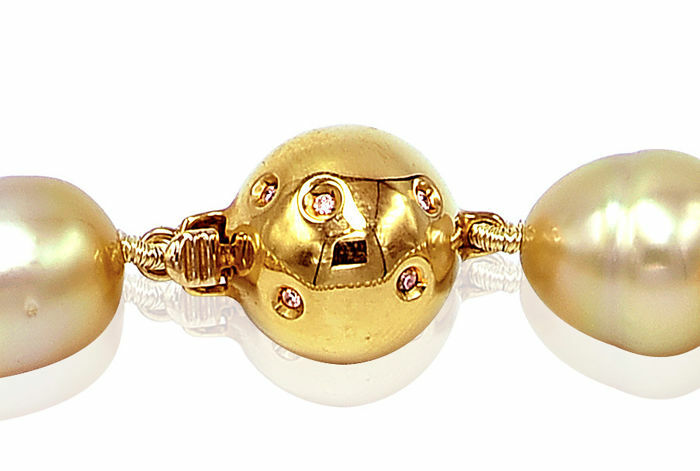 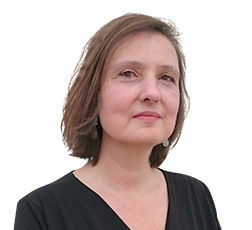 The necklace is completed with an 18K Yellow Gold diamond ball clasp, enhancing the golden pearls. 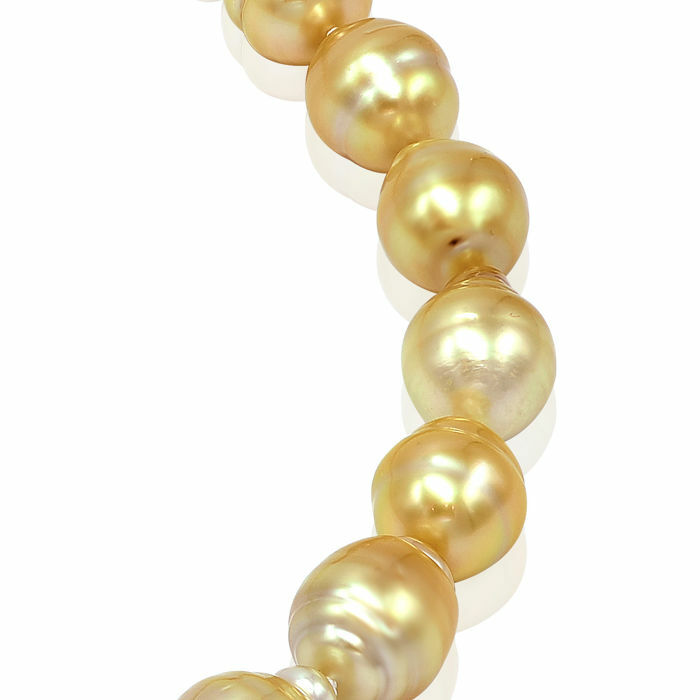 At 45cm, the necklace has a standard length which complements for wear with both high and low necklines.